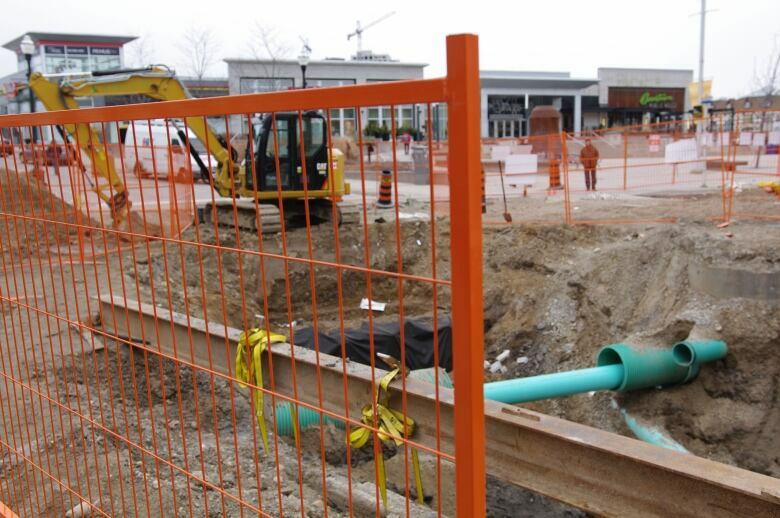 Construction crews have halted work on the LRT line after a historic corduroy road was found under King Street in Waterloo. Construction crews working on King Street in Waterloo to make way for light rail transit have dug up a historic corduroy road. "Late yesterday it was identified that it was a corduroy road, so it is an archaeological feature that we need to get more information on, so we're still in the midst of that investigation," Avril Fisken, manager of communications for GrandLinq, told CBC News Tuesday morning. A corduroy road was paved with logs and sand, laid tightly together across the direction of travel in the same manner as railway ties. 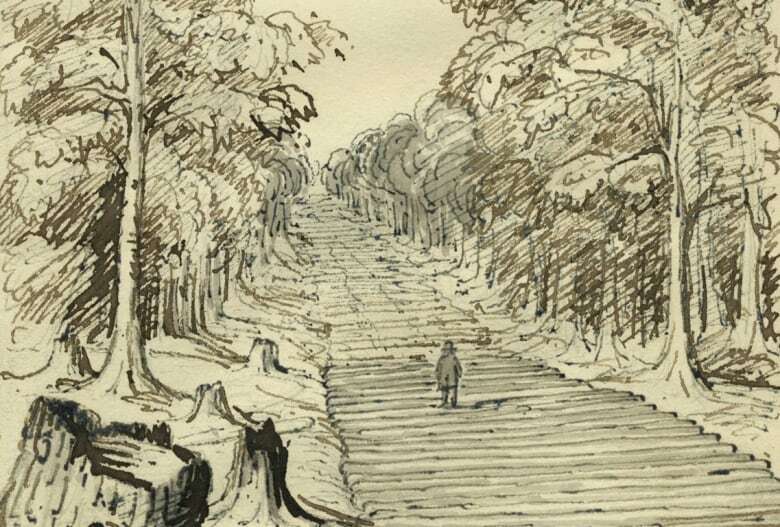 Although an improvement over traveling through mud or swamp, a pioneer's corduroy road could present a hazard to horses due to logs shifting beneath their feet. Fisken said Grandlinq, which is building the LRT line, was told late last year that there was the possibility of a corduroy road, or log road, under King Street. Crews were advised if they found anything unusual, they had to stop work. Crews stopped working on March 11 after wood was discovered and an archeologist was called in. Kate Hagerman, a cultural heritage specialist with the Region of Waterloo, said corduroy roads would have been built in wet or swampy areas. "They would have put the trees down to help vehicles not get stuck in the mud," she said. The road likely dates back to before 1877, Hagerman said. "That's been a road for a long time, so there's layers and layers of what people have done to keep it and maintain it," she said. "It would have been from the earliest historic development of the region."